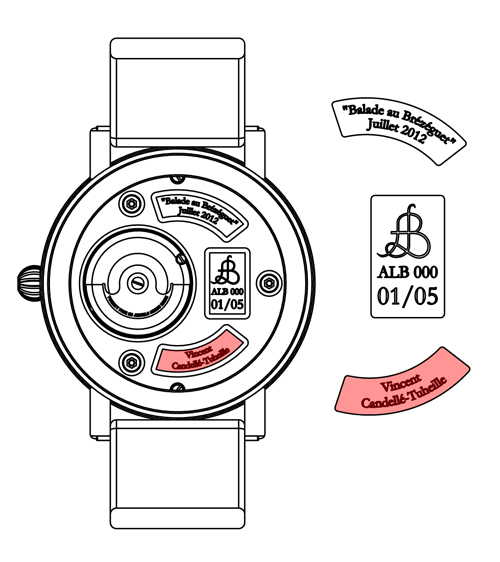 A.L.B offer to each of his customers the possibility to custom a space inside its watch. The watch will be then unique. This space is the colored area ont the right picture.